Below are some more details on our offerings that can help your organization drive engagement. Each offering can be customized to fit your needs, mission and budget. Read to chat? Contact us! 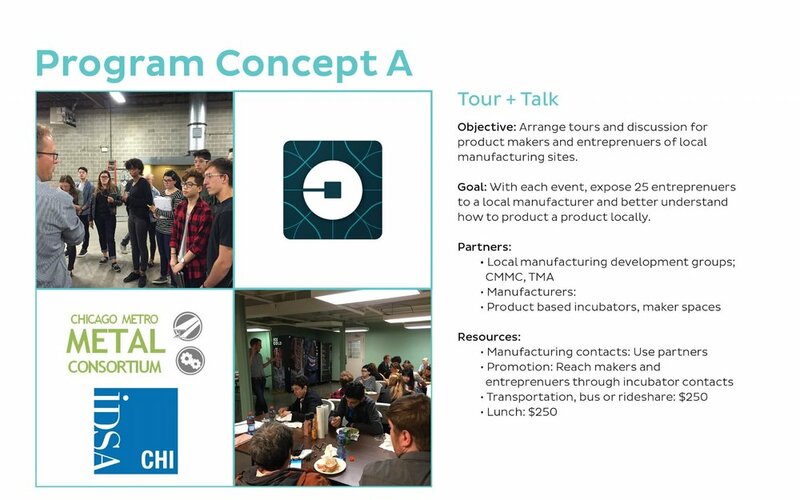 Immersive observation: Immersion of teenyBIG and any of your team in your services or simulation for deep discussion of the user experience. Analysis of user touch points with your organization. User Interviews & Follow-Alongs: Interviews of a target range of your users and observations of them receiving your services. Analysis of opportunities to rethink and improve services. 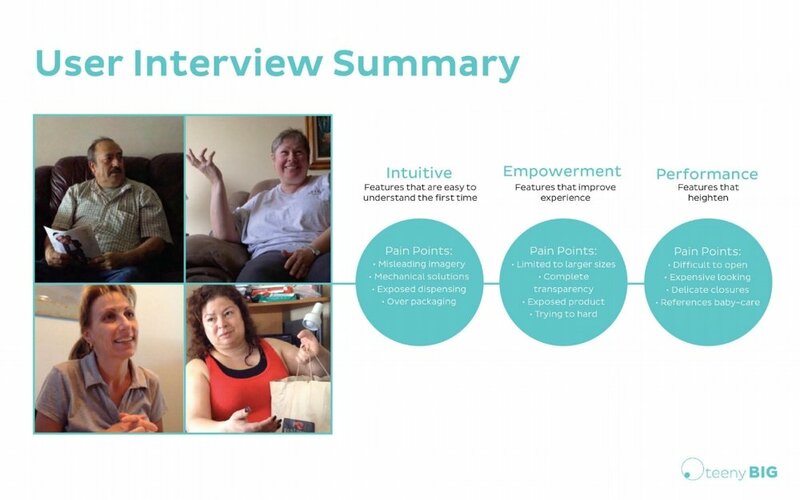 Current and Potential Donor/Volunteer Interviews: What drives current donors/volunteers to support your organization? What questions do they have about your funding? What presumptions and questions do those that could support your organization have? Ex. Deliverable: Creation of Personas of Who your user/donor is, What drives them and How they are driven to connect with your organization. Journey Map to understand areas of improvement. Lanscape Assessment: Audit of current overlapping or similar focused organizations, their offerings and support. Ex. Deliverable: Presentation of top 5 overlapping organizations and opportunities for your organization to shift or expand. 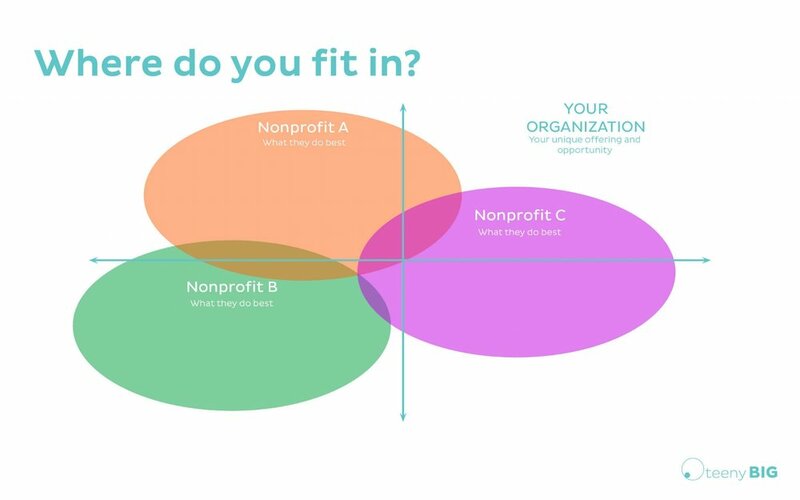 Inspiration Audit: A thorough exploration of relevant- in or out of your category - nonprofit and for profit examples of programs, activities or other engagement strategies to inspire your team. Analyze what works in these examples and where there may be challenges. Ex. Deliverable: Presentation of relevant inspirational examples, how they are relevant to your organization, what to steal and what to avoid. 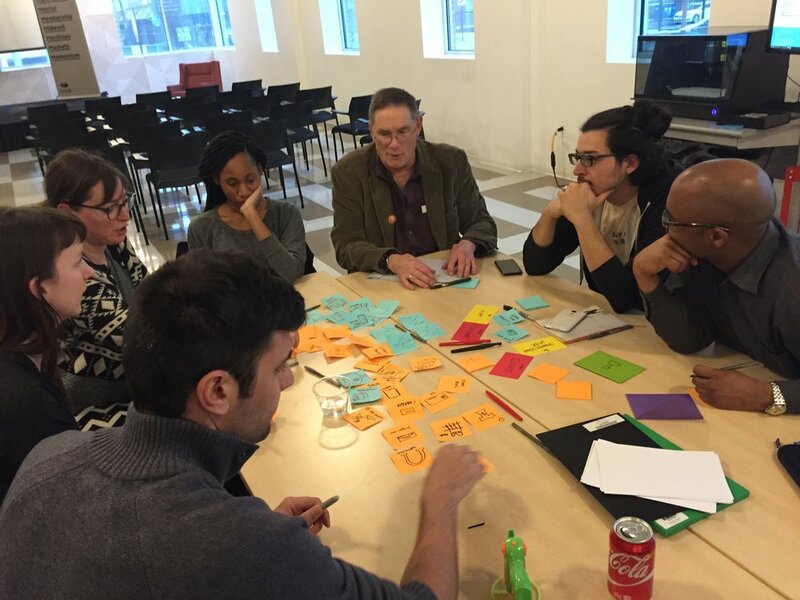 Solutions Workshop: Bringing together a diverse team of your staff, and potentially outside ideators, this workshop will use customized design thinking exercises to explore creative solutions to your organization’s challenges- ex. improving engagement, combining resources, new programs. Appropriate data will be assessed beforehand and incorporated into the workshop. The workshop concludes by strategically narrowing solutions for further refinement. Ex. Deliverable: Customized workshop exploring solutions for your challenge with up to 20 stakeholders, appropriate research, inspiration and proven exercises for your team thinking about your challenge in new ways. Presentation of photos and process documentation from Workshop, as well as a summary of the strategic solutions provided. High Level Concepts: Based on Interviews, Landscape, Workshops, or other information provided high level program concepts will be created. These will synthesize user insights, budget, and your organization’s mission and include general program framing: services offered, potential partners, and estimated resources required. Ex. Deliverable: A range of 5-10 concept pages of potential programs that can be evaluated by your team. Iterative Prototyping: Using Concepts or other program plans, we will quickly prototype a program and test it with users, donors or other stakeholders. Observations and learnings will be recorded for evaluation and improvements to the program. Ex. Deliverable: A rough prototype of a program or experience (ex. mocking up a service room, using photos to walk through an experience, mocking up worksheets) with interviews of key stakeholders walking through the prototype experience. Documentation of the prototype, key findings and improvements to be made.